An Electrical Engineer conceives and develops electrical or electronic devices and processes for a company, and often supervises a team of technicians and developers. Electrical Engineers capable of efficiently managing a team and handling a project are in great demand. Commercial awareness is very much appreciated too. Electrical Engineers who speak many languages, especially English, hold big advantages in getting a good job. 322 new job listings for this search have been found in the last calendar day, compared with 1,050 in the last 72 hours and 1,548 in the last week. There are 2,522 Electrical Engineering jobs in India available immediately, compared to 412 in Karnataka. The standard deviation of salaries for the results of this search is 379,932. 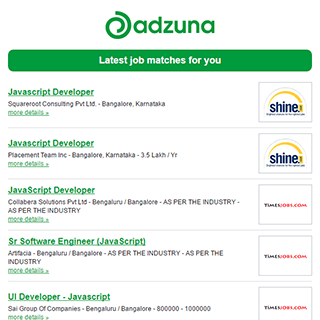 Get the latest Electrical Engineering Jobs in India delivered straight to your inbox!